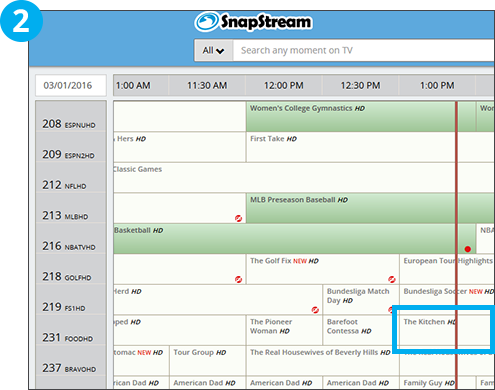 The SnapStream Program Guide makes scheduling your recordings as easy as setting your home DVR. 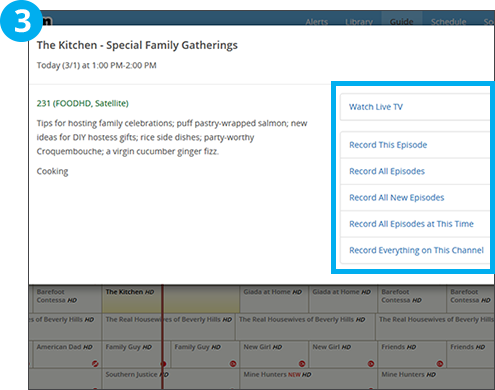 Schedule recordings from the program guide, based on specific episodes or channels. 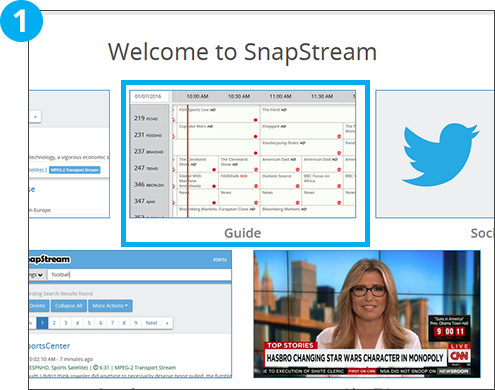 You can even set up 24-hour-a-day recordings on your SnapStream in one click! 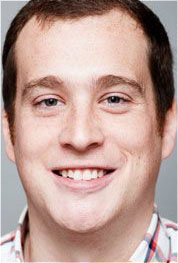 Click on “Program Guide” to bring up the web interface program guide. 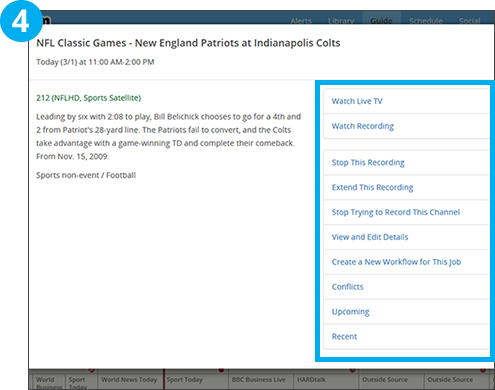 Drag the program guide using the mouse, or scroll using the keyboard's arrow keys. If you are not currently recording the show that you’ve clicked on, you will be given the following options. You can also see these options by right-clicking on a cell. Record all episodes at this time: Schedules daily recordings only at the time selected. Record everything on this channel: Records all scheduled shows on this channel.